« What Can I Do With a Sociology Degree? 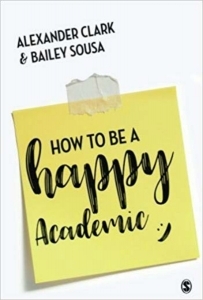 How to be a Happy Academic: A Guide to Being Effective in Research, Writing and Teaching by Alexander Clark and Bailey Sousa. SAGE Publishing. 2018. A recent self-reported survey from the UK suggests that academics are at relatively high risk of stress-related anxiety and mental health problems, including depression, sleeping issues, and cognitive impairment. One commonly-cited cause of stress concerns the increasing diversity of tasks in the modern academic workplace (pastoral care, administration, entrepreneurial activity, impact work; to name but a few). In addition to other ongoing contextual challenges, such as falling academic standards, corporatization, lack of collegiality, long working hours, and pressure to produce high volumes of quick work, how might one seek to be a happy academic? Written by Alexander Clark (@DrAlexMClark) and Bailey Sousa (@BaileySousa), both from the University of Alberta, this book sets out to support fellow academic workers – “irrespective of career stage, seniority, qualifications, function, or title” (9) – to be more effective, more successful and happier. To begin with, the authors put forward in the introduction their view on seeing and approaching academic work as extreme knowledge work, in which success depends largely on “getting the right things done, then acquiring the knowledge to do the next right thing” (13). They also argue that doing the right things, whether in research, teaching or engagement, is “achieved far more by good habits than talent or skills” (13). This article by Eddy Li originally appeared on the LSE Review of Books blog and is reposted under the Creative Commons license (CC BY 3.0). Based on this premise, the first section of the book introduces “The Success Pyramid”. This consists of four linked strata (“success indicators”; “priorities”; “goals”; and “tasks”), all of which aim to support readers in selecting the right academic work to do. As extreme knowledge work is so diverse and always value-laden (Chapter Two), what success looks like in academia is highly dependent on personal context and values. The authors therefore urge everyone to set their own success indicators (Chapter Three), and to identify from there their priorities (Chapter Four), as well as goals and tasks (Chapter Five). One key message from “The Success Pyramid” is that effectiveness in academic work involves essentially “the disciplined pursuit of what really matters” (70) vis-à-vis one’s own “values, career aspirations, and circumstances” (61). It is about strategically “addressing the smaller number of factors that stand to make the biggest contributions to our success” (75). The section that follows discusses in great detail “The Core.” This comprises six elements that are fundamental to doing (the right) academic work right: “creativity”; “human work”; “learning”; “influence”; “writing”; and “habits and systems”. As argued by Clark and Sousa, strengthening these “underlying deeper skills” (7) is “the most efficient and effective means to foster success in academic work, and to ultimately be happy while doing it” (100). This may be achieved respectively through, for example, working in creative collaboration (Chapter Six), building relational networks (Chapter Seven), learning from failure (Chapter Eight), fostering rhetorical skills (Chapter Nine), reading widely (Chapter Ten) as well as organising workload and priorities using the Eisenhower Matrix (Chapter Eleven). Over a total of six chapters, the authors clearly convey, among other things, their growth mindset: that abilities around “The Core” are not fixed but can be improved through deliberate efforts and strategies. They motivate readers to consider themselves “not as an endlessly progressing work colossus, but as a colossal work of endless progress” (131). Finally, the last section of the book brings together “The Success Pyramid” and “The Core.” It aims to illustrate how they might be used to support the everyday work of different academic workers, including PhD students and more established scholars. Through three worked examples (“The Doctoral Milieu”; “The Squeezed Middle”; and “Stepping Out”), the authors suggest that while those in their early careers are usually learning to work amidst failures and constraints, more established workers tend to face challenges arising from “ambiguity around, or sheer misalignment of their success indicators with their work” (197). In light of this, they reiterate the importance of “doing the right things” (200), as well as developing “deeper skills and habits” (200). They also encourage all academic workers to get together as communities of practices (Chapter Twelve), so as to learn from sharing, discussing and reflecting on their mutual challenges around effectiveness, success and happiness. Doing so forms “important and sustaining elements to help avoid assimilation into ineffective work cultures” (201). Similar to most self-help books, How to be a Happy Academic offers its target readers a training manual on self-empowerment. 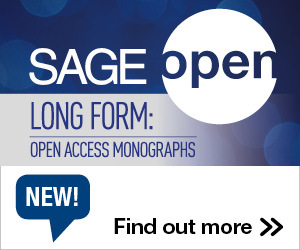 In particular, it provides an insider perspective on seeing, doing and – most importantly – taming academic work. Among the highlights of the book is the series of “Over to You” sections, which seeks to bridge theory and practice by inviting readers to critically engage with “The Success Pyramid” and “The Core”. For instance, it has guided me to reflect on my own values and success indicators as an early-career researcher. It has also helped me to identify some of my main barriers to setting priorities. Nevertheless, one of my questions while reading and reviewing the book, and indeed also raised by the authors themselves, remains: “who should define and evaluate success, from what basis should this be done, and with what implications” (47)? This entry was posted in Bookshelf, Career, Higher Education Reform and tagged Book Review, Happy Academic. Bookmark the permalink. Post a comment or leave a trackback: Trackback URL.